In the study of record-breaking process, an event is defined to be a recurrence of a previous event if it is closer to that previous event than all other succeeding events. In this paper,we introduce a modification in the general theory of records by taking into account not only space and time but the magnitude of the events as well. The statistical properties of the degree distributions as well as spatial and temporal separation distributions of the recurrence network for an earthquake time-series from Japan University Network Earthquake Catalog from 1985 to 1998 for magnitudes greater than 2.5 made using the modified method was studied. The results show that the degree distributions of recurrence networks for increasing event sizes show a decrease in the peaks. In addition, the record distance and time distributions show a power law trend with exponents 1.1 and 1.0 respectively which is independent of the magnitude conditionality introduced in the network construction. C. Janer and R. Batac. 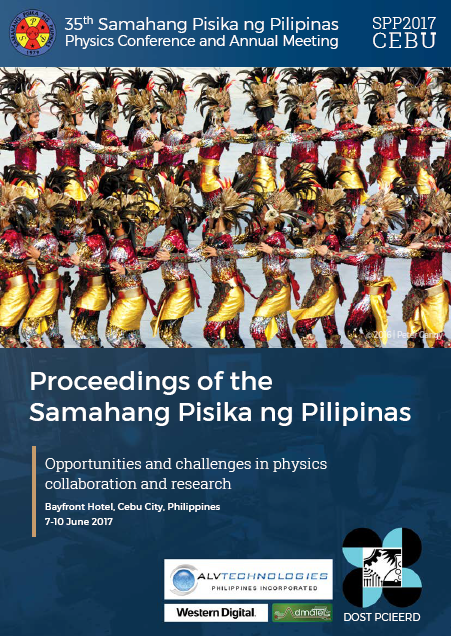 Incorporating space, time, and magnitude measures in a complex network of recurrent events, Proceedings of the Samahang Pisika ng Pilipinas 35, SPP-2017-PB-04 (2017). URL: https://paperview.spp-online.org/proceedings/article/view/43.